Have you ever thought about sharing your favorite recipes with a wide audience of food lovers? How about blogging about ingredient swaps, healthy eating, or how to make a killer Thanksgiving dessert? 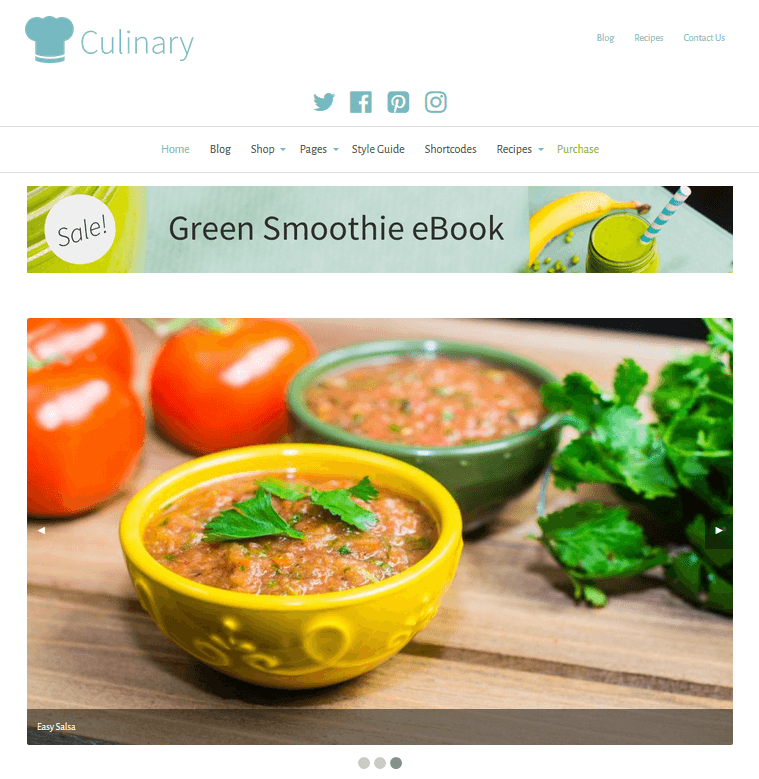 If you are the type of person looking for the perfect WordPress theme for displaying recipes, blog content, and even cooking products and services, it is time you check out Culinary. Brought to you by Rescue Themes, Culinary comes in both a free and premium version. And, thanks to the fact that Rescue Themes has been developing themes since 2008, you can believe they are in tune with providing WordPress specialty themes for any niche or organization and know exactly what website owners are looking for in a high quality food theme. 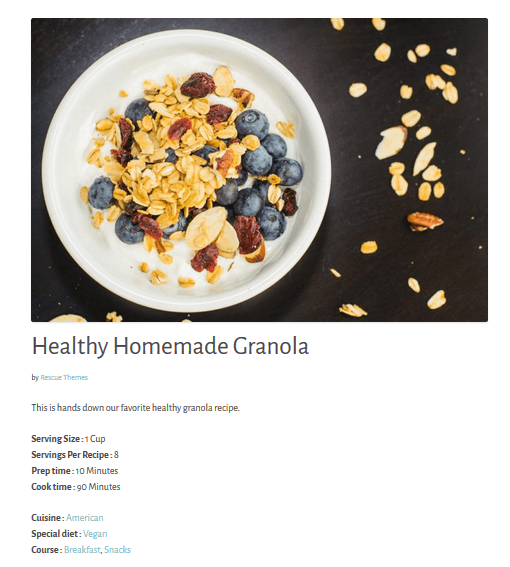 Culinary is a WordPress theme designed to help you with your food and recipe needs. Whether you need to share your own recipes, blog about healthy eating options, or just want to network with others that can help you fine-tune your skills in the kitchen, Culinary has the design and functionality to get it done. And don’t forget, if you want to sell kitchen related items, you can do that too! 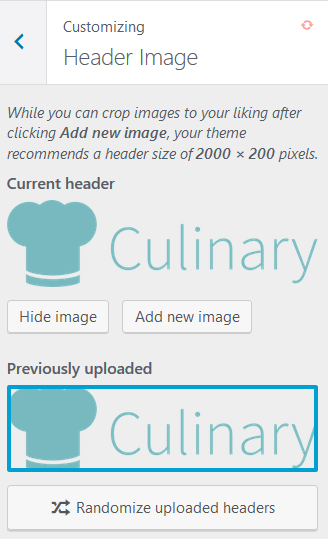 Working with the native WordPress Theme Customizer, Culinary is a cinch to customize, whether you are using the free or premium version. Plus, with plenty of demo content to install, there is no need to start from scratch and frustrate yourself if you aren’t sure where to begin. Today we are going to take a look at how Culinary and Culinary Plus (premium version) stack up against one another when it comes to helping you build a beautiful food blog. As some WordPress themes do, Culinary has a list of recommended plugins that will aid you in your food blog efforts. And, upon installing and activating the Culinary theme, you are prompted to install and activate these plugins before jumping into your website build. Rescue Theme’s own plugin, NutritionWP, is one of the first recommended plugins. Designed to give you an easy way to add recipes to your foodie website, NutritionWP comes with some great features. For example, it supports Recipe Schema for beautiful search result and Pinterest recipe display. It also supports Cuisines, Special Diets, Occasions, and Courses, and easily embeds recipes straight into your blog posts. 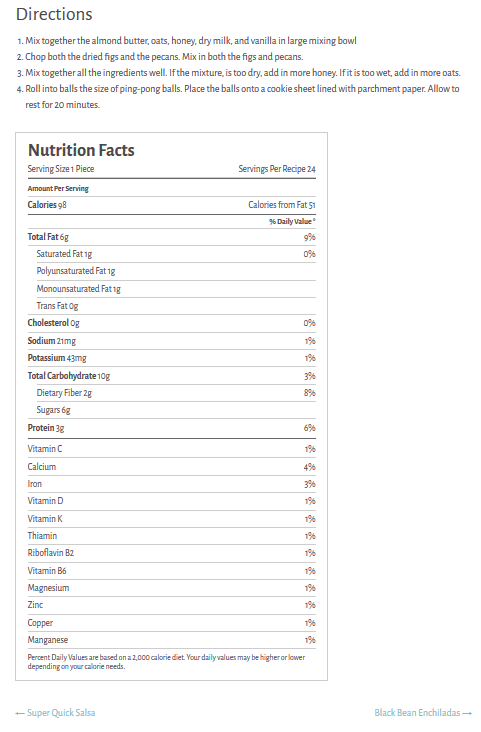 Best of all, it stores and displays all nutritional information. Known in the WordPress world as being the ultimate WordPress toolkit, JetPack in Culinary serves a specific purpose. Using Jetpack galleries you can display stunning images of your best dishes in three styles: rectangular mosaic, square mosaic, and circular grid. In addition, the rectangular and squared layouts come with hover captions to save retail space while still providing a snippet of information. 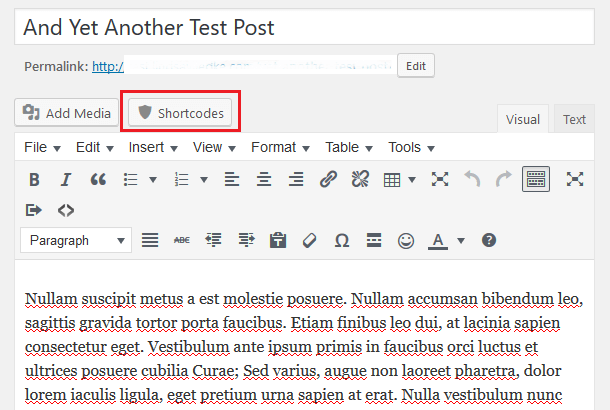 Rescue Shortcode helps you easily add shortcodes into any post or page on your website by adding an intuitive button to the WordPress Editor for easy shortcode generation. 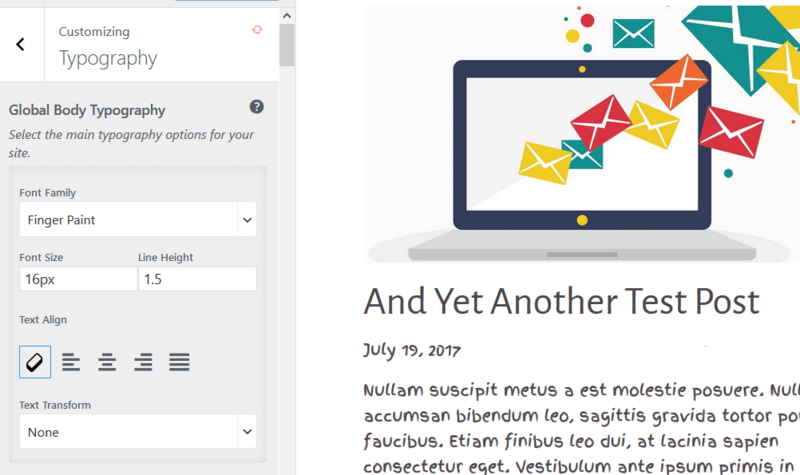 With this plugin, easily add a newsletter sign up form (or any other kind of form) to your website for building a bigger email list. Connecting to your existing MailChimp account, the forms created with this plugin are user-friendly, and mobile friendly. Culinary supports the number one eCommerce platform on the market today – WooCommerce. Sell anything from recipe books to cooking sessions using this flexible, and powerful, online shop plugin. In addition, with so many free and premium extensions available, you can set up memberships, recurring subscriptions, and even digital downloads on your website. Culinary comes packed with a lot of customization options to complement the recommended plugins discussed above. Let’s take a look at just what you can do to create a stand out foodie website. To start, Culinary offers website owners many opportunities to brand their website. This is good if you want to make a name for yourself, encourage brand recognition, or even become a successful online store. Forgo the site title and tagline and simply upload a custom logo image. Or, if you would rather, assign a site title and tagline to display, such as your company’s name. You can also add a site icon to be used as a browser and app icon for your site. You can also change the header image to make a great first impression. Take advantage of Culinary’s demo content, or upload your own. You can do this from the Theme Customizer or by navigating to Appearance > Widgets. Then, add things like a search bar, Recent Posts, images, and even video to the various sections of your website to improve user navigation and maintain interest with your content. Sometimes, as is with the case of Culinary, your new WordPress theme will support a custom homepage template. This way you can have all of the design and functionality needed on your homepage to complement the type of site you are creating (such as a foodie blog). To do this with Culinary, simply navigate to Settings > Reading. Here you will notice some general settings. Select whether you want your homepage to display as a static page or with your latest posts. Next, select “Home” from the Front page drop down menu and “Blog” from the Posts page. 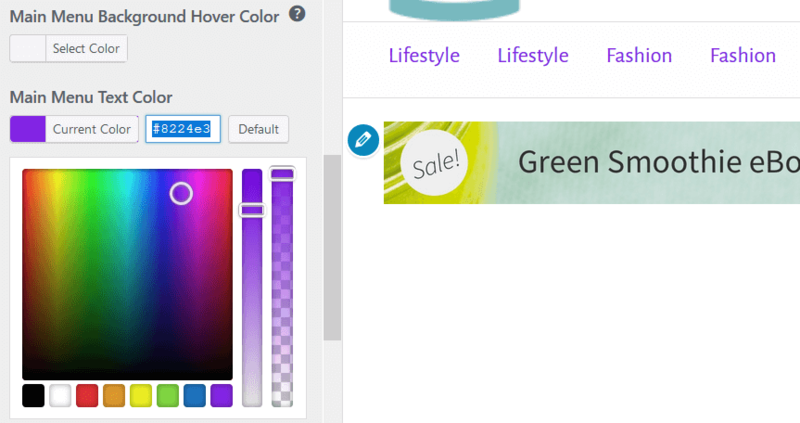 Simply change the colors using the intuitive color pickers and save your changes. With Culinary Plus, you get all of the great features mentioned above in Culinary, plus a whole lot more. The font styles you use on your website can have a significant impact on readability, as well as your site visitor’s desire to stick around or not. 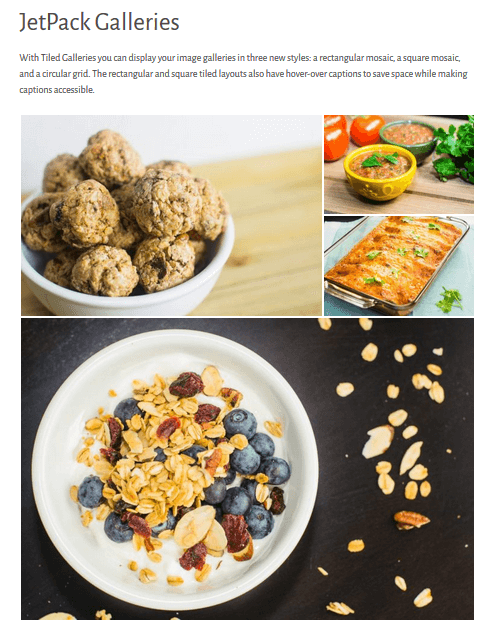 If you are looking for an excellent way to impress readers once they click on your site, consider building a homepage slider using Culinary Plus. Add as many images as you want, enable a defined number of featured posts to show, choose the featured posts category, and even decide whether to show home page content or not. Plus, with each image you choose to add, you can include text captions and link to the post that associates with each image. Are you looking to sell your newest book? Do you want to allow others to advertise on your site? Perhaps you are part of an affiliate program and want to encourage others to buy the products you are endorsing. No matter the case, Culinary Plus has home banner widgets available for showing ads of any kind. 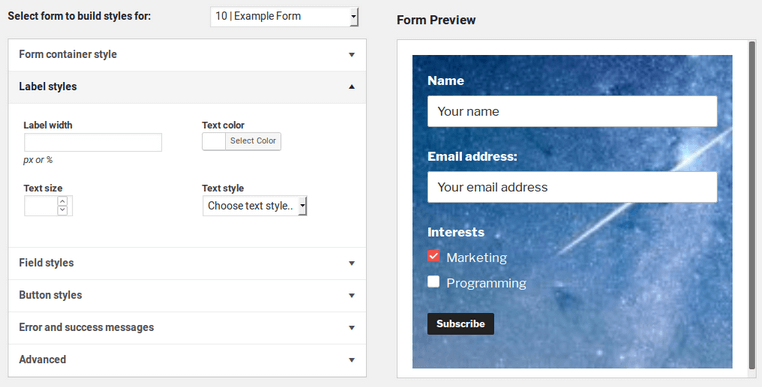 Simply navigate to the Widgets section in the WordPress Theme Customizer and click on the Home Above Hero Section. Then enter the text to appear above your banner if you want, and include the code that correlates to your ad in the Content section. Your image will appear and if done correctly, will be clickable so site visitors can check out what you have to offer. Lastly, Culinary Plus gives you the option to choose between a right and left sidebar and insert social media icons in to the top header of your website to increase social shares, likes, and follows. Culinary comes with a sufficient amount of documentation to help you setup your theme, guide you through some customizations, and help with installations and updates. With the free version of culinary you can receive support via the support forum on WordPress.org. The theme was just released this year and there haven’t been any questions in the .org forum. In addition, the team behind Culinary admits they only check the forum once a week and that responses are not guaranteed. All customers purchasing the Culinary Plus theme receive basic support for 12 months after their purchase. This includes things such as general setup questions, one-on-one developer access, and bug fixing. If you would like all of that (minus major customizations), you can opt for Priority Support for a $75 one-time purchase. There is also a custom development option for $65/hour if you want help creating your website from the ground up. And last, but certainly not least, remember: Culinary is a free food and recipe theme, while Culinary Plus is the premium version, coming in at $49.99 for one site license and $79.99 for unlimited site licenses. 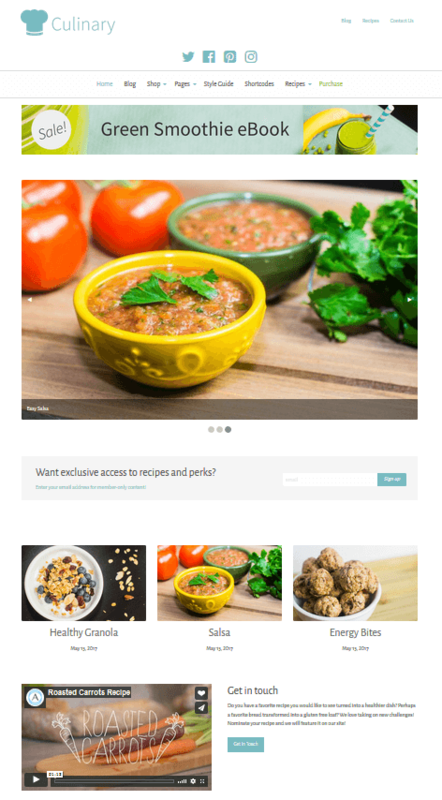 Ultimately, anyone searching for a great looking WordPress food and recipe theme should highly consider either Culinary or Culinary Plus. With exceptional features like the integration of NutritionWP for beautiful recipe display, WooCommerce support for setting up an online shop, and endless customizations concerning color schemes, typography, and image displays, your foodie blog will stun anyone that visitors and encourage them to check out you most delicious recipes. Have you ever used Culinary or Culinary Plus? What did you think of the feature set? I would love to hear all about it in the comments below! Good review. The theme looks outdated though. 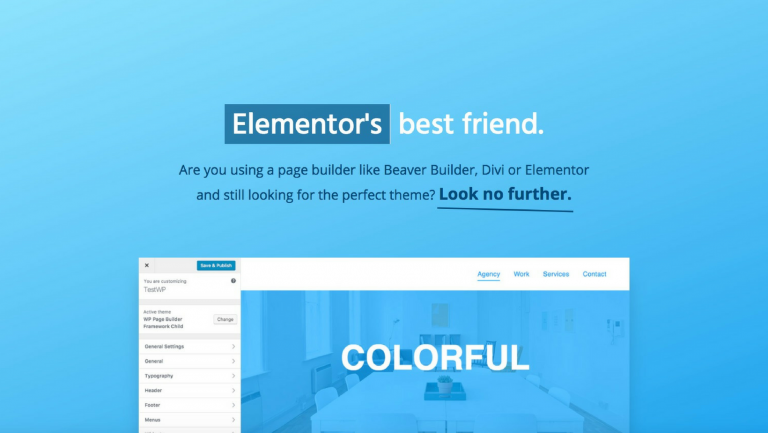 For the amount of $49, you can get a way better theme and customize it to fit your project.